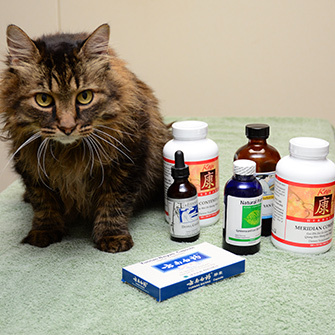 Iowa Veterinary Wellness Center has an extensive Chinese herbal medication pharmacy. Chinese herbal medicine has been in existence for thousands of years. Their use in animals dates almost as far back as their use in humans. The veterinarians at Iowa Veterinary Wellness Center utilize Chinese herbs both as an adjunctive use therapy (in addition to traditional medications) as well as a single use therapy, often with pets who have underlying disease conditions that preclude the use of more modern medication therapies. The Chinese herbs that we carry are often in pill or liquid form. Almost all of our herbs are processed and manufactured in the United States, helping to ensure the safety and integrity of the ingredients. 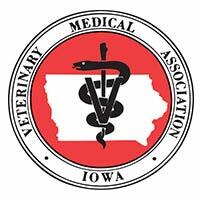 Call our staff at Iowa Veterinary Wellness Center if you have any questions about the use of Chinese herbal therapy, or to learn more about their possible use for your pet by scheduling a consultation with one of our veterinarians.